Rena has a pretty amazing wardrobe. That's why she gets her own fashion posts. I mean she even has her own version of an Hermès Ostrich Birkin bag. Isn't it totally fabulous? Considering it's just 2 inches long, the detailing is quite impressive. This bag was part of the Re-Ment Department Store series and came with a comb and mirror, an umbrella, a gift box and shopping bag. I paid $20 for it on eBay which sounds like a lot but given that this is one of the harder to find sets and I've seen it selling for upwards of $40 these days, I'm glad I picked it up when I did. And it still costs tens of thousands less than the real thing. I'll try to do a full post on this entire outfit soon. The Chanel inspired suit Rena is wearing here is one of my favorites. Speaking of fabulous bags, my friend, the wonderfully talented Mary Jo Matsumoto is having a 40% off flash sale now through Friday on a selection of her bags, accessories and nail polishes. This is a rare treat so do check it out! And she ships internationally. The blog went through a little makeover. I just wanted to refresh and streamline the look abit. I actually sketched out the design changes awhile ago and finally just got around to implementing them. Rena & Ian now have their own page in case you've missed any of their posts and I made a page for my Etsy Shop. I also finally have a proper About page. oh the bag is stunning! I totally love Mary Jo Matsumoto's styles. thanks for sharing this Rolala! What a stunning bag! I agree, Mary Jo Matsumoto is very talented. Great buy sweetie its a beautiful handbag. love your About page :) I'm a big fan of french fries, sushi and tea myself! Rena really does have the most fabulous accessories! I hope you get your own ostrich Birkin some day! I can't wait to see the blog makeover dear! The blog looks amazing, sweetie, you did a great job! It looks very chic and polished. But seriously, can we talk about Rena's fabulous wardrobe? I mean, I'm totally jealous right now, and I'm not even going to hide it! A Birkin? I think I'm going to hate her :) But seriously, I would love to see an entire post on this outfit, I'm pretty sure it'd be a visual treat! She has a fabulous style. Like to see the full chanel look. Love the new look of the site, Rowena:) And that bag is too amazeballs! Rowena, you know I'm Rena's biggest fan! I have the framed picture of her eating laduree macaroons on the shelf with all my handbags. Rena is so chic. Love the Hermes bag and Chanel suit. Great job on the layout Rowena. It looks so good! Plus Rena & Ian are just a click away now. HAHAHA Love it! Have a great day. Rowena that little bag is insane! I love it! You always get the best mini stuff :) Thank you so much for the sweet mention of my Flash Sale!! 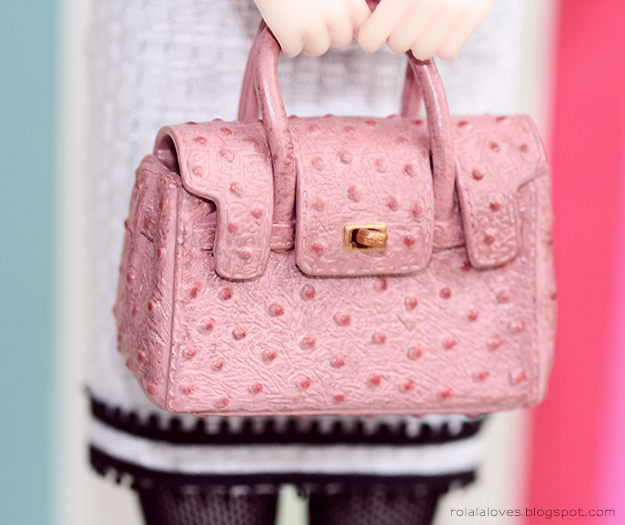 Love the detailing on the bag! Pretty neat stuff! Congrats on the new layout hun. I am sooo jealous of Rena's gorgeous Hermes bag, its a classic beauty, lucky girl! I love it! Your site is seriously so cute! Gorgeous bag! Rena is one fabulous fashionista with a wonderful personal shopper with taste. Loving the new blog look too. As you say, it's really clean and streamlined. 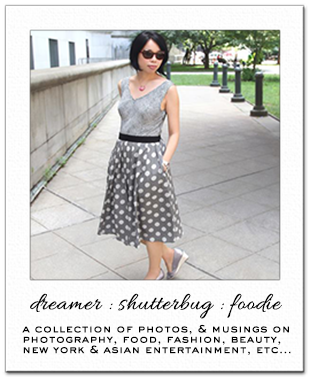 Your new blog look is so cute! I love how all the pages look. Aww, the bag is sooo adorable. :') These posts with Rena make me feel all warm inside! That bag is pretty amazing indeed! I have today through Monday off so I have a bit of a mini vacation but no extra fun plans. I'm happy with that though, things have been so busy for me. When I can eat mushrooms again, I may try the burger. There is actually a Shake Shack just outside of Boston and rumors of one coming into the city. I love growing my own hot peppers, they're organic that way. I have also been picking a pound a week at a local farm and am going to pickle them all this weekend. When I have time I have been making my way through Scandal episodes from this past season and Arrested Development's new season. I might try to get through IiP this weekend. I think I'm about half way now. I'm absolutely thrilled that Rena has an Hermès Ostrich Birkin bag. I love to look at miniature stuff and seriously for such delicate work, the amount you spend on it is so totally worth it. I went to click on Rena and Ian's (I nearly typed "Ryan") link and I can't believe they are dolls. I love their fashion and props. Ooooh... If my dolls have such lovely wardrobe and vespa, I would definitely photograph them more. It must be really a lot to maintain this hobby right? I've wanted to buy a such dolls too, those Japanese dollfie. I have phobia for dolls but these dollfie are just so beautiful and really expensive too. I like how you have an introduction page and I enjoyed reading it. Amazing bag!!! Love your bag! Love this bag, it's perfect! Thanks for your visit! Happy Friday Doll!